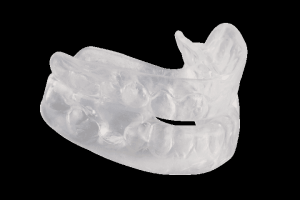 The ZQuiet, similarly to the Snore Guard, keeps your jaw slightly forward to maintain an open airway. Both devices are part of a standard line of anti-snoring products known as MADs (mandibular advancement device). My wife and I tried both of them. Each device worked relatively well but my wife, due to her smaller sized mouth, found a better match with the ZQuiet. The first night, my wife had a minor fitting issue with the ZQuiet but I was able to fix it the next morning by following directions provided by the company and trimming it with scissors. My wife and I had some fitting issues with the Snore Guard due to the large size and bulky design. The ZQuiet is quite comfortable in your mouth as a result of the soft, flexible construction. This MAD allows your mouth to remain slightly open so it is ideal if you are a mouth breather. The loose fit was a new feature to my wife and I. We thought that the ZQuiet was going to fall out of our mouths during the night, a problem reported by some users. However, it stayed in the whole night without a problem. Cleaning was very easy and all that it required was a toothbrush and soap. 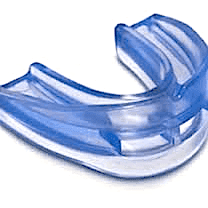 ZQuiet provides you with two mouthpieces, which vary to the extent they advance your jaw. All you have to do is try both of them in your mouth to see which size suits you the most. I had to adjust my wife’s piece slightly with scissors so that it fit properly. My wife snored a little the first night though she said that there was no snoring coming from me. My jaw was slightly sore but by the second night, that was not a major problem. After the two-week trial period, my wife and I were quite comfortable with the ZQuiet. The design even makes it possible for you to open your mouth and talk normally while wearing it. Individuals with a cold or a deviated septum will prefer the ZQuiet too since it allows you breathe through your mouth and keep your airway clear. Cleaning took minimal time and effort. The one-piece, soft construction looked quite clean after using a toothbrush and mild dish soap. I really liked how the Snore Guard was constructed with soft, malleable plastic. When I was sleeping, my mouth remained slightly open as a result of jaw repositioning. After proper fitting, the device stayed comfortably in my mouth. At first, I thought it was going to fall out but the sturdy design prevented that. My wife and I were happy that the cleaning process for this MAD was so simple and painless. All we had to do was use some dish soap and warm water to make sure it was clear of contaminants. In order to obtain a Snore Guard, I had to get a prescription. When I visited my dentist, he did a boil-and-bite method to properly fit the Snore Guard. Alternatively, you can always do the fitting process at home. In regards to comfort, the Snore Guard made me keep my mouth open a little bit more than other similar products. At first, it made my mouth very sore. I found that the device stretched out the skin in between my nose and lips due to the bulky design. In order to clean it, I washed it with warm water and mild dishwashing detergent. I did not use a toothbrush out of fear that it would discolor and damage my mouthpiece. The Snore Guard prevents snoring; however, it leads to a lot of discomfort that may be avoidable with a smaller-sized product. My wife and I thought that the ZQuiet required the least amount of work and was the more comfortable of the two. While the Snore Guard may have prevented snoring, the bulky design and the resulting soreness make it the less desirable option. Note: The ZQuiet has a $9.95 trial, including free shipping that allows you to use it for 30 days and if not satisfied you can return it and not be charged the full $79.95 price.